Ever since Apple announced the iPhone 5 back in 2012, the Cupertino-based company has opted for having two keynotes in the September-October time frame. That trend will continue this year, as Apple is set to have its second fall keynote Thursday, Oct. 16 roughly a month and a half after the iPhone 6 and iPhone 6 Plus keynote. Last year, Apple announced the iPad Air and the iPad Mini with Retina Display, as well as a refresh to the company’s MacBook Pro lines of laptops and a release window for the Mac Pro. In addition, Apple significantly changed its desktop business model by announcing that OS X Mavericks would be a free download. With refreshes to Apple’s laptops and tablets set to be announced, here’s a roundup of what we expect from Thursday’s keynote. It’s a yearly trend for Apple to refresh its tablet lineup, and this year looks to be no different, with the iPad Air and iPad Mini with Retina both likely receiving a refresh. Design-wise, the tablets look to be similar to their smaller siblings, the iPhone 6 and iPhone 6 Plus. Rumors up until now have mainly focused on the iPad Air 2, with the tablet reportedly getting Touch ID and a thinner profile. In addition, a gold color option could be available for the Air 2. Most likely, the biggest design change for some users will be the alleged lack of a physical rotation lock switch. The rotation lock functionality will now be located in the Control Center on iOS 8 instead. Again, though, that design tweak was reported for the Air 2 and not the Mini 3. Both iPads should have either the Apple A8 dual-core, 64-bit processor onboard or a beefed up version of it, possibly an A8X. The iPads will also reportedly sport an improved 8-megapixel back camera, with both tablets running iOS 8. While Apple could surprise us by announcing the tablet, only to have it release sometime in early 2015, indications seem to point to that not happening. With the MacBook Pro line getting the Retina Display treatment, it was only a matter of time until Apple would do the same with the MacBook Air. Reports constantly brought up its 12-inch Retina Display, with the laptop powered by Intel’s new fan-less Core M processor and equipped with USB Type C connectors. Unfortunately, the MacBook Air with Retina will likely launch sometime in early 2015, with a recent report indicating that it won’t be shown off during Thursday’s Apple keynote. Still, Apple could just as easily surprise us, but you shouldn’t hold your breath. 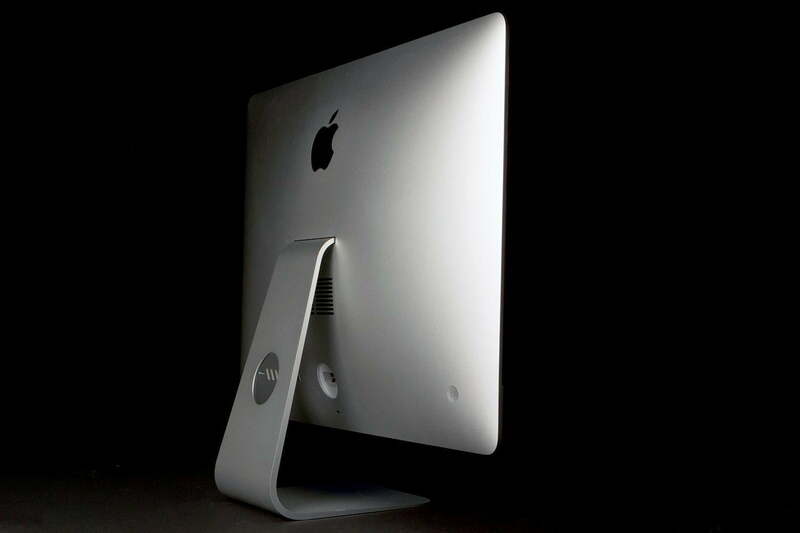 The Retina Display won’t stop with the MacBook Air, as Apple is set to announce a new 27-inch iMac with Retina Display. While the screen resolution has yet to be confirmed, it could lie anywhere between 4,096 x 2,304 and 6,400 x 3,600 pixels. For comparison, 4K resolution are rated at 3,840 x 2,160, though it’s worth noting that the recently-revealed DisplayPort 1.3 standard supports 5K displays with resolutions up to 5,120 x 2,880 pixels. The iMacs will also receive a general refresh, which will reportedly be powered by new processors, likely Intel’s Core M chips. An upgrade we also expect to see is a graphics card boost, possibly to Nvidia’s 900m series, which should speed it right up. The Mac Mini, meanwhile, could also see an upgrade to Intel’s Core M processor, though just about everything else is unknown at this point. It’s impossible to talk about Apple’s new Macs without talking about Yosemite, the upcoming version of OS X that developers and brave souls alike have been tinkering with since July. While Apple has yet to announce a firm release date, we should expect one announced on Thursday, much like Mavericks’ release date was announced last year during a similar event. Something to keep in mind is some of Yosemite’s best features, such as Continuity, needs iOS 8.1. Reportedly, that version of iOS is slated to hit on October 18, this Saturday, so don’t be surprised if Yosemite’s release happens sooner rather than later. It has been years since Apple truly updated its Apple TV platform, meaning there is a strong possibility a new model may surface. New features could include an actual app store, a visual upgrade, and many other things, but we don’t expect a full-fledged television anytime soon.